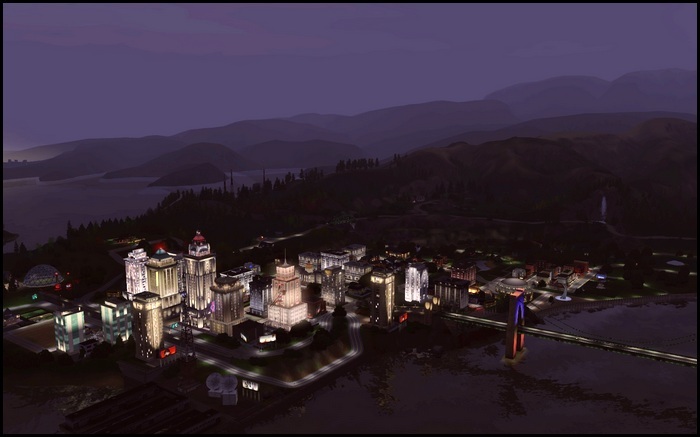 I spent a lot of time last year building a city in Sims 3. The Sims 3 released a Create-A-World tool (still in Beta :p), and since the most fun I have playing Sims is building stuff, I couldn’t help myself. Several months later, I’ve finished building my city. This is pretty much what I did with my spare time. 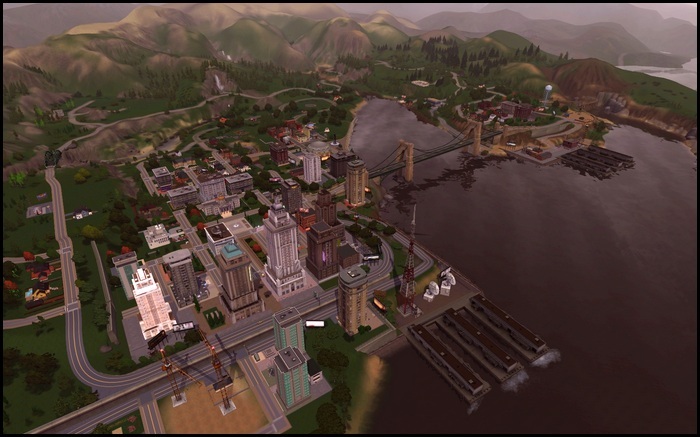 The Sims 3 already ships with a few worlds. I only have a few expansion packs, but there’s really plenty to play around with. My only problem is that I couldn’t relate to any of those worlds. I’m a bit particular that I like my fantasy worlds to kinda/sorta be close to my real world. Which kinda/sorta means I made a city that looks like mine. :p Sort of. Obligatory disclaimer: This site is not endorsed by or affiliated with Electronic Arts, or its licensors.